The town of Grafton, Vermont has been called one of the ten most picturesque spots in America. During the autumn foliage season, the views along the historic Main Street are burnished gold. Grafton is a quintessential New England village, the type that only seems to exist in a Currier & Ives print. 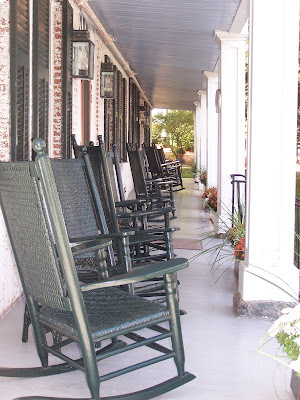 There is a pointed white church steeple, a country store, a history museum and the Old Tavern Inn, which was built in 1801 and where charming wicker rockers are artfully placed along a rambling front porch. Another kind of gold can be found in the nearby pastures – “Grafton Gold,” the three-year-old, extra-aged cheddar of the Grafton Village Cheese Company. 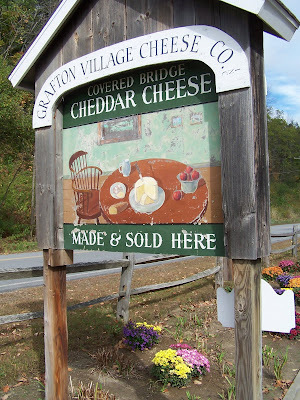 Grafton, Vermont is dedicated to tradition, and a simpler way of life, and cheese making is part of that tradition. The Grafton Cheese Cooperative was established in 1892 so that local dairy farmers could turn surplus milk into cheese. The cooperative was destroyed by fire in 1912, but re-opened by the not-for-profit Windham Foundation in 1964. There is much to learn here about the techniques employed to create world-class cheddar. We enter the immaculate white clapboard structure, just outside the village, where cheese making has been underway since dawn. While parts of the process have been updated, Grafton Village Cheese still uses methods that originated in the 1800s. Long rectangular stainless steel vats are filled with pale, spongy slabs of bonded curds. Two men in crisp white uniforms will turn the slabs by hand. This process is called “cheddaring.” One man moves down along the vat and feeds each slab into a milling machine that shreds it into dozens of squiggly fingers that tumble into the vat. Another man tosses fists full of salt onto the shreds and a large automatic mixer crawls through the curds, turning the mixture over numerous times. Eventually, the other man takes the curds by the handful and packs them into 60-pound size metal boxes, pressing the mixture in carefully and closing the lid. The boxes will be placed under pressure for 14 to 16 hours to squeeze out as much moisture as possible. In the tasting room and retail shop, Wendy Brewer, the marketing director, willingly answers my barrage of questions while I indulge in a progressive sampling of classic cheddar aged one, two, three and four years. The longer the cheese ages, the sharper it becomes and I tremble with pleasure as a chunk of four-year-old cheddar explodes in my mouth. It is vividly tangy, buttery and nutty all at once. Wendy explains that the cheese making technique for cheddar is designed to squeeze out as much moisture as possible. This will deliver the dense, crumbly cheddar texture. Grafton maintains high standards for the milk used, which is locally sourced from Jersey cows on 38 farms. “We’re doing our part for family farms,” says Wendy. 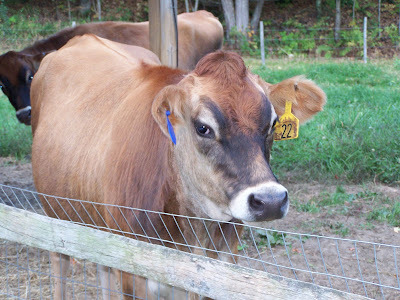 She explains that Jersey cows produce premium milk with high protein and high butterfat, ideal for “Grafton Gold” and the company’s wide selection of award-winning cheddars. Demand for Grafton cheddar continues to increase nationwide and the company plans to open a second production facility in Brattleboro, Vermont. Clearly, I am the ideal customer for Grafton. 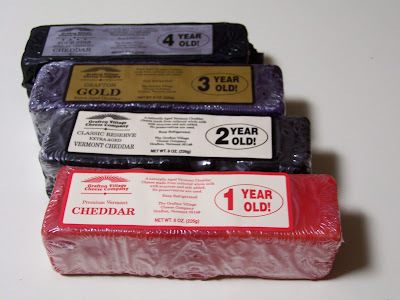 I like modern and I like classic, so I purchase 1-year, 2-year, 3-year and 4-year cheddar. 2003 was a very good year, after all. I also pick up a recipe for Grafton Cheddar Cheese Soup, one of their collection of signature cheese dishes. ofcourse you have to got to have some cheese when you are in Vermont. Oh the grafton girls are such cuties! I'd love to rock in one of those chairs and savor the surrounding beauty. You're making me so nostalgic for New England, T.W. Now that is a good looking cow! The Grafton Cheese is available all around greater Ma, though for some reason I have never bought it. Now I have a good reason to try! Until I took the tour at Grafton Village, I never knew the origin of the word "cheddar" -- and I'd never been able to taste cheddars that had aged as long as 6 years. If there is a more "New England" village than this one, I can't imagine it. It's 7 AM and now I'm hungry for cheese. And for a trip to Vermont. Hi Veron - large animals tend to make me nervous, but those two were really sweet! Susan - Grafton is probably one of the prettiest spots I've visited in New England, with the cheddar being a big bonus! Bradley - you should give it a try - the sage and garlic cheeses are quite good, too. 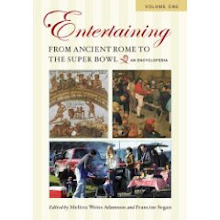 Lydia - I spent a long time watching the process and found it fascinating - I, too was surprised by the term "cheddaring." Kathy - I think I could live on Vermont cheese!